As we get older, we become more aware of the appearance of fine lines and wrinkles. It’s not unusual and it happens to everyone — in fact, such hints of age can be exacerbated by lifestyle choices. But for anyone wanting to hold age at bay, our trained dental team in Dublin D4 can lend you a helping hand in the form of non-surgical facial aesthetics. 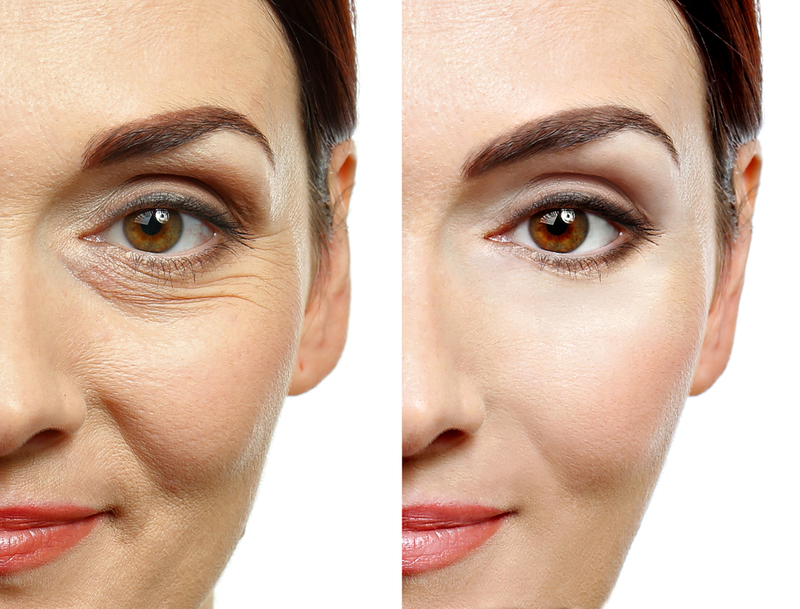 Wrinkles and fine lines are one of the most noticeable signs of ageing. Fundamentally, they’re caused by the breakdown of collagen and elastin. As we get older, we simply can’t produce enough collagen to replenish what we have lost and so, over time, the skin begins to lose its elasticity and strength. Wrinkles can be caused and worsened by other, more external factors, however. If you’re a heavy smoker, this is likely to speed up the skin’s ageing process. Excessive sun exposure can cause similar damage, as can exposure to other pollutants such as household cleaners and pesticides. On top of this, stress is a leading cause of wrinkles — unfortunately, stress is one thing we can’t always avoid in our everyday lives. So what’s the answer? Facial aesthetic treatments offer individuals a non-surgical, non-invasive way of reducing the appearance of wrinkles and fine lines. A paralysing agent is injected into your skin to inhibit the movement of muscles and prevent the formation of wrinkles. With the help of fully trained, professional and caring experts, it’s entirely possible for you to achieve a more natural, youthful appearance in just a few treatments. If you are concerned about the appearance of wrinkles, you may well have purchased anti-wrinkle creams in the past. These creams tend to make impressive claims, but are they really effective? Anti-wrinkle creams are usually composed of ingredients including retinol, coenzyme Q10, hydroxyl acids, niacinamide, peptides, vitamin C, grape seed extract and tea extracts. Though they might appear to have short-term effects, in reality, anti-ageing creams are nothing but moderately expensive. In fact, it’s been shown that any basic moisturiser with no special ingredients can rival costly anti-wrinkle creams by making fine lines appear even finer — but the effect is far from permanent. If you’re looking for a more cost-effective long-term solution, you should turn to professional wrinkle removal treatments. Why Should I Come to a Dentist for Facial Aesthetics? Dental clinics are Care Quality Commission (CQC) registered, so you know they have a clinical environment that is suitable and well-equipped to perform non-surgical facial aesthetic procedures. Dentists have a range of honed skills that are useful in relation to facial aesthetics, including training in the anatomy, biochemistry and physiology of the head and neck. Dentists have great attention to detail — something that’s needed for them to be successful in their field. Dentists have a high degree of accurate manual dexterity. Dentists are familiar with — and comfortable administering — fine-needle injections. Dentists are great communicators. They use these skills to communicate with their patients about how they are feeling and what to expect. At Pembroke Dental Ballsbridge in Dublin, we pride ourselves in our professionalism and our first-class results. We use a very fine needle to inject paralysing agent into the desired area. It usually takes around 3-4 days to see the full effects of the treatment, but the result normally lasts up to 4 months. This treatment can be repeated and, usually, further treatments last longer. Our Associate Dentist Dr Chloé Kelly has trained with the Visage Academy in London and is qualified in the administration of wrinkle removal treatments and Facial Fillers. 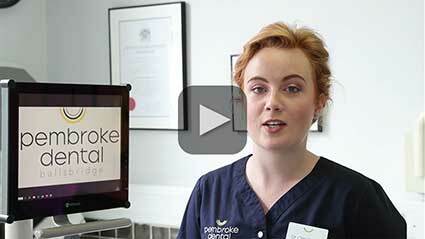 With Pembroke Dental, you can rest assured that you are in good, practised hands. Get in touch now to book a facial aesthetics consultation at Pembroke Dental Ballsbridge, Dublin D4. Call 01 668 3242 today.